It’s that time of year again! The time when we go around when we go around doing last-minute shopping, spend time with friends and family, and remember Christ’s birth. Programs tend to be more or less the same all year round, but a couple of them change depending on the time of year, especially for Christmas. 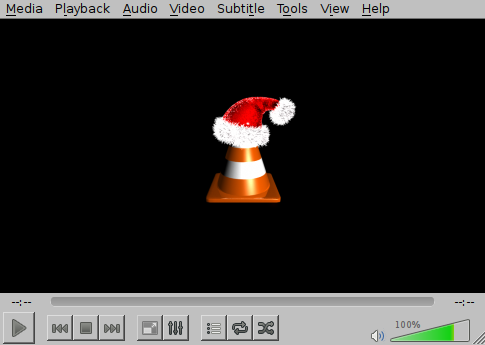 From December 18 to January 1, VLC media player‘s striped orange cone sports a Santa hat.